Walk, Wine and Dine is for those who have a passion for fine wine and cuisine and would like to visit beautiful natural spots of Slovenia. 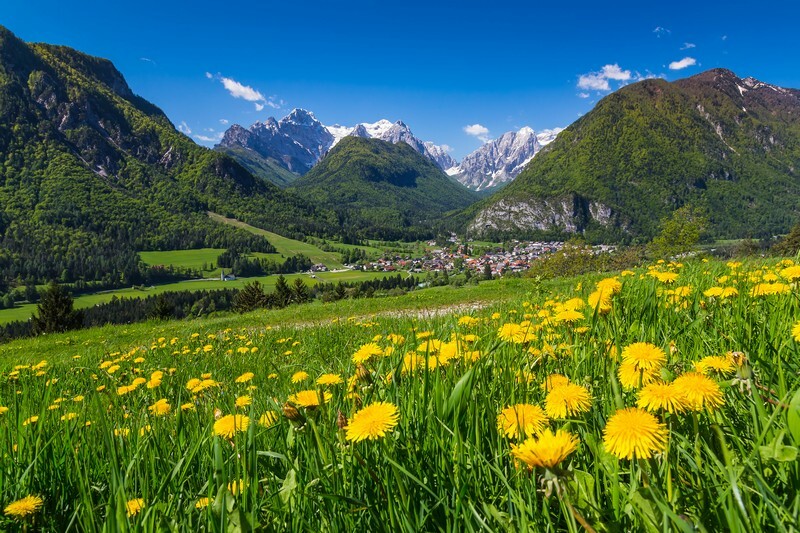 This tour, besides tasting the best Slovenian wines, includes superb culinary experiences with authentic food of different Slovenian regions and fabulous local specialities in recommended off-the-beaten-track restaurants. You will visit Ljubljana, Cerknica Lake, Kriska cave, Vipava, Karst and Brda wine region, and more! Enjoy Slovenia and experience the freedom of life in the mountains and on the river. Enjoy Slovenian local food and taste fine Slovenian wine! The itinerary can be adjusted according to your wishes. Contact us and tell us about your wishes and needs regarding your Walk, Wine and Dine Slovenia tour. Transfer from Ljubljana or any other airport and head to Ljubljana, the capital of Slovenia. Arrival to Ljubljana and welcome dinner. The Slovenia tour will start with a wine tasting of local wine varietal Cviček (that has a very low alco level and is considered wine for diabetes) and sparkling wines in a beautiful wine cellar of Krakovo. The day will continue to the second winery, where you will enjoy an exceptional wine degustation. This remarkable winemaker takes care with his family for cca 7 hectares of vineyards with about 24 thousand vines and 20 varieties of grapes. Their amazing property is special for the amphitheatre position of the vineyards which ensures constant temperatures during the summer months. The host has received accolades and commendations for his wines from all around the world, including the Tokyo Imperial Palace and US White House etc. Here you’ll also discover the “repnice” wine cellars. These underground pits are manually dug into the million-years-old quartz sand. In between the two wine tastings, you will enjoy a lunch of local dishes. By request, it is also possible to organize a short visit to Sevnica, the birthplace of Melania Trump. In the morning, departure to Cerknica Lake. The day will begin with a four-hour visit of the underground of Krizna Cave. The tour is only for eight persons maximum. During your four-hour visit on foot and by boat, you will enjoy the beauties of the underground world. After lunch at the local farm, you will have three to four hours of a nature walk with a naturalist guide. During the botanic walk around Cerknica Lake, you will observe wet meadow plants, birds, butterflies, and dragonflies. Dinner will be served at the accommodation of the day. Waking up in a small village in the middle of the Karst wine region. Breakfast of fresh local, homegrown products will be served. After breakfast, you will start exploring and enjoying the beauties and tastes of the Karst wine region. But it is not only about wine! You will visit “Pepa’s garden”, stopping at the farm, producing herbal liquors. After lunch, you will continue exploring and learning about Karst handcraft – stone-cutting presentation and workshop where you will make your own souvenir out of the Karst stone. In 2009, Pepa’s Karst Garden received a top rating and a gold medal in the category of small gardens at the horticultural exhibition Hampton Court Place Flower Show, which is the second most important horticultural event in the world. But this is not the last artistic activity of the day. In the afternoon, you will visit “a wine poet”, an artist among winemakers. A winemaker, producing premium wines, among them also orange wines. You will taste indigenous wines of Karst wine region – Teran, Terrranum (vintage 2006) and Vitovska, and other international varieties and predicates – of course, accompanied by local cold cuts. Satisfied after a day full of Karst flavours, you will head to Vipava, your next stop, where you will have dinner at the accommodation. After breakfast, you will head to a very small stone village with approximately 75 wine cellars. The village is more or less empty with one very big exception. Your host has a lovely small restaurant. He will give you a tour of the village and show his wine cellar, where you will taste his wine. Here you will also have a delightful lunch, overlooking the Vipava Valley. In the afternoon, you will visit another exceptional wine cellar in Vipava Valley, where you will enjoy your wine tasting with a winemaker who will take you through his / her philosophy of wine tasting and together you will enjoy his / her wines. Since you will be already in the northern part of Vipava, you will have a short 40-minute drive to the most famous wine region of Slovenia – Goriška Brda. Brda will be introduced from the lookout tower and, in the evening, it will be time to taste some local specialities accompanied by fine Slovenian wine. Optional visit to always charming Venice in Italy. Dinner will be served at the accommodation. If booked well in advance the dinner will be held in Hisa Franko, whose chef Ana Ros has been named as The World’s Best Female Chef 2017 ahead of The World’s 50 Best Restaurants. Please send an inquiry to consult before you book. The day is dedicated to the hiking one of the beautiful peaks or the mountains surrounding the Lake Bohinj in order to get a magnificent view over the lake. There are numerous options so you will choose one according to your wishes and weather conditions. From Lake Bohinj, you will drive to Bled, where you will visit the castle and admire the lake with the island in the middle. Optional is a Pletna drive to Bled Island and ring the bell of wishes – who knows, maybe your wish will come true? It is worth to try. You will stop at the Bee tourist farm close to Bled, where you will find out more about beekeeping tradition in Slovenia, taste different bee products, visit an api room. You will have lunch in a beautiful Radovljica town in the old family run restaurant where the ex-president of Yugoslavia, Tito in the 1970s, has been dining. You will head to Kamnik, where you will have a free afternoon and rest in the spa. In the morning, you will visit Velika Planina Big Pasture Plateau on foot or with electric bikes. The activity will take approximately four hours. During your tour, you will also enjoy a lunch of products of Big Pasture Plateau – Velika Planina. In the afternoon, you will visit a Craft Brewery and taste different types of beer. The host will guide you through the process of creating this liquid gold. In the evening, there will be time to relax and take wellness time in the spa of Kamnik. Breakfast at the hotel, check – out and private transfer to Ljubljana or any other airport. Small private group travel that gives you personalized and unforgettable experience. Our itineraries represent a wonderful bled of the major sites and delightful places. All included. No hidden extra costs. Our high quality service makes us a great choice for private tour travel. The best accommodation located at the sightseeing or historic districts. The selection of premium restaurants and farmhouses with carefully chosen menus. Exceptional native tour managers and local guides. Leisurely pace – your average day on the tour begins at 8 am or 9 am and there is ample free time for your own explorations daily. 2 – 4 pax: 10 days from 1900 euro per person. 2 – 3 pax: 10 days 4690 euro per person. 4 – 6 pax: 10 days 3340 euro per person. 7 – 8 pax: 10 days 2890 euro per person. 9 – 15 pax: 10 days from 2300 euro per person. Prices are all inclusive per person. The prices are subjected to change according to accommodation availability. The final price will be set when we agree on the size of the group, activities, meals and accommodation. The itinerary can be adjusted according to your ideas, wishes or needs. For a reservation of the trip, a down payment of 10 % of estimated final fee is required. The amount is deducted from the final amount of payment. Only after the down payment is received, the reservations of restaurants, accommodations, tours etc. will be done. Upon final confirmation of the programe and reservations of all the activities, hotel stays and restaurants the final price of the tour will be set. After final confirmation of the itinerary, the rest of the payment will be due. The reservation will be considered valid as soon as Amber tours s.p. receives full payment for the program. You will receive a voucher / invoice by email after receiving of the payment. Payments may be done by credit card through Paypal payment portal, or by bank transfer. Enjoy Slovenia, Enjoy with us!